The next one in my alphabet series is D, and it took me a while to actually think of what to write about. It went from doughnuts to dreams to other such things before I finally decided on date nights. I love going out for dinner/drinks/days out with my boyfriend - our first date was at London Zoo and since then we've got up to lots of things, which I've usually documented on here. As part of this post, I'm going to share a few photos of what we've got up to lately. We carved pumpkins for Halloween after going out for dinner. How amazing is his E.T pumpkin?! I would show you the pumpkin I carved but it's nowhere near as good as this. It's the second pumpkin he carved and he managed to carve this. Naturally gifted! If you've read my posts lately you would have seen a photo of this curry from my perfect weekend. You can find it here. We spent the day before in Harrods and the King's Road. The next day we traipsed around a garden centre looking at the Christmas decorations before we went for a curry. The weekend after we had another curry whilst watching The X Factor. 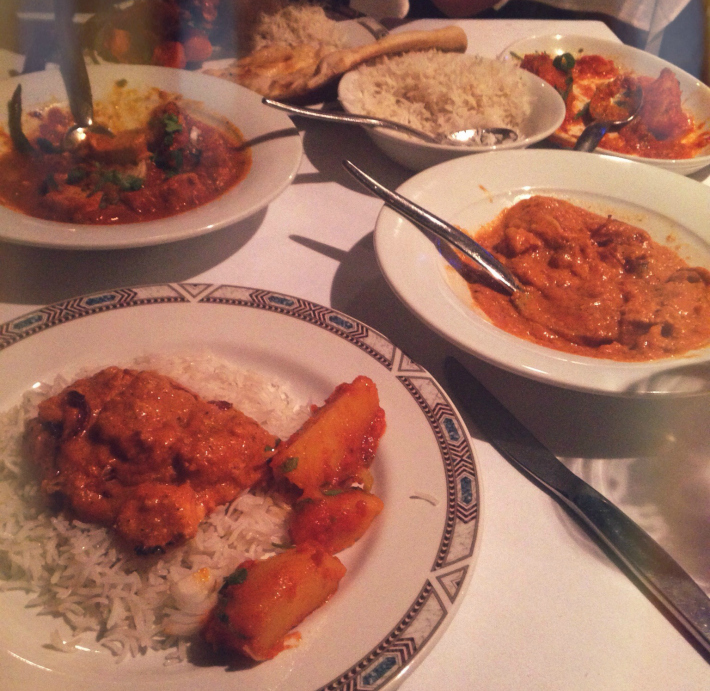 I think we're a little obsessed with Indian food! I've also featured this photo before in my B is for Burger post. 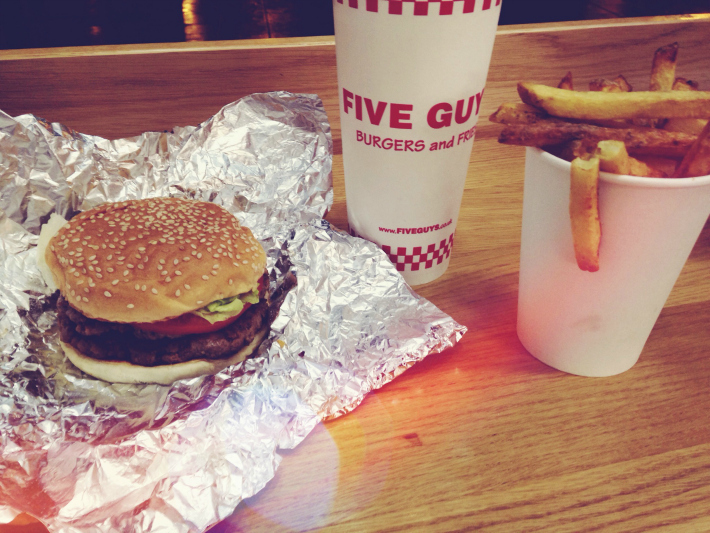 You can read my thoughts on Five Guys in that blog post. I'm definitely going there again - the burger was amazing! We followed this up with watching the latest Hunger Games film. 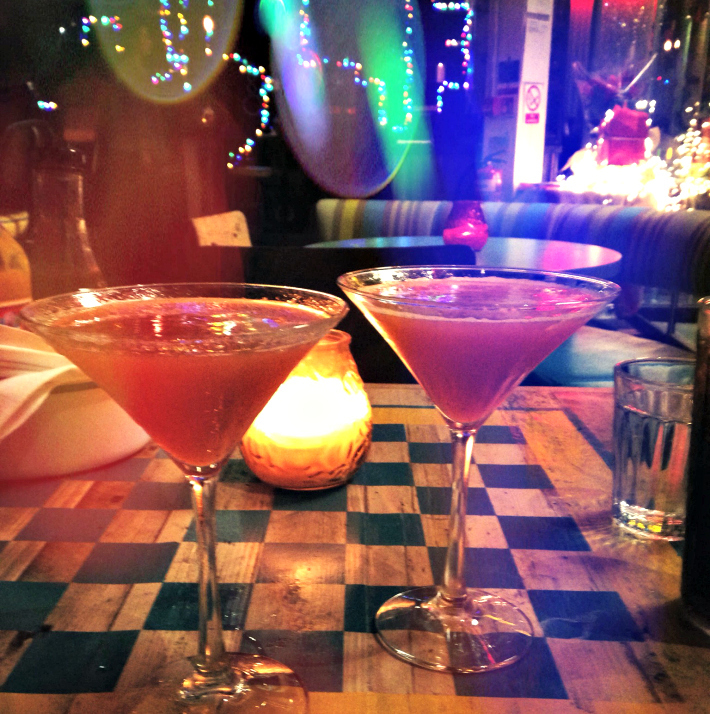 Speaking of burgers, the first photo in this post is from Tuesday night when we went out to Turtle Bay in Ealing. I used to love Turtle Bay when I lived in Southampton so I was excited to see they had opened another one close to me. It was happy hour so I had 2 cocktails. Bit naughty for a week night! I also had the Street Burger, which contained beef and spicy pulled jerk pork. So tasty! 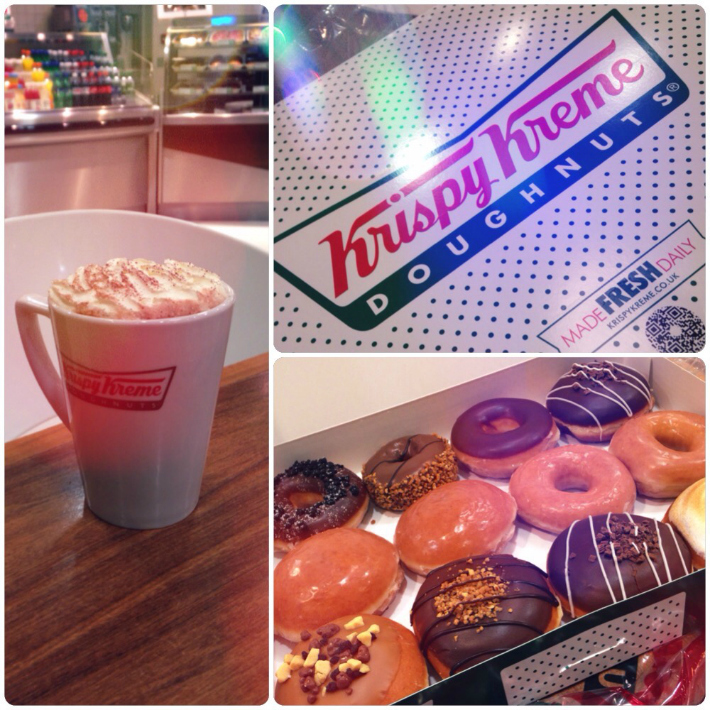 For a quiet Saturday night a few weeks ago we bought a dozen doughnuts and enjoyed a hot chocolate in a Krispy Kreme cafe. My favourite doughnut is the original glazed and the cookie one. I hope you enjoyed seeing some of my dates with bae (I hate that word!) What's your favourite kind of date? Let me know in the comments!